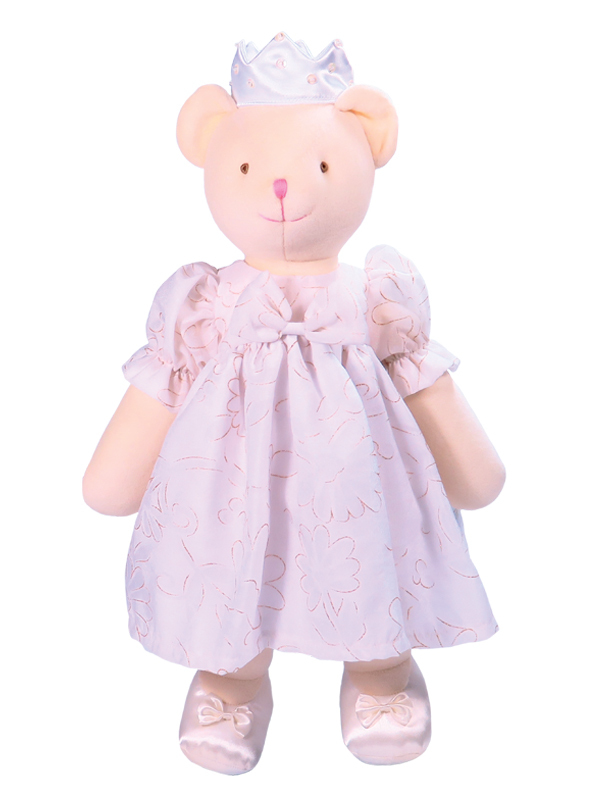 Princess 48cm Bear has a super soft cream velvet body and hand stitched face. She wears a lined silky white dress with a gold glitter outline print and white bloomers. Satin shoes and crown with sequins completes her outfit. Princess 48cm Bear is rather special and is sure to be a favorite! Clothing is removable.